July 24, 1989, L. G. Crabo. 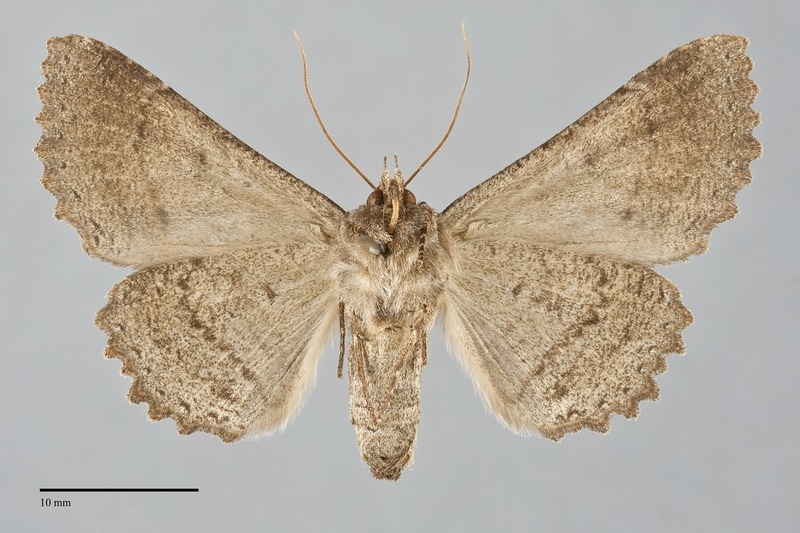 Zale lunata is our largest Zale species (FW length 21 - 25 mm). It has similar wood-brown forewings and hindwings with innumerable parallel finely scalloped lines. The forewing costa and subterminal line and hindwing postmedial line are darkest. 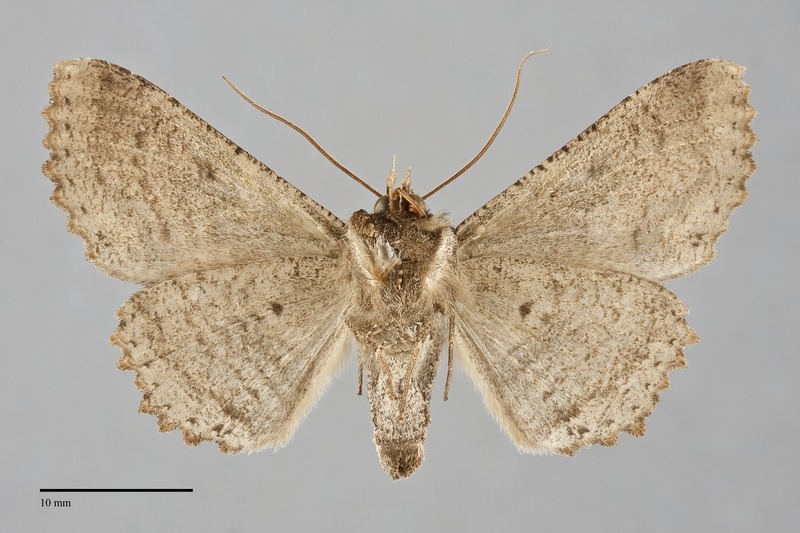 Some specimens have yellow-brown in central forewing between the antemedial line and subterminal line, and some have patches of white and light gray, sometimes faintly greenish, in the terminal areas of both wings. The orbicular spot is a brown dot and the reniform spot is very faint. The wings are scalloped, most pronounced on the hindwing. The posterior thorax with tufts, largest at the posterior tegulae. The antennae are simple in males and females. Large specimens of this species cannot be confused with other Zale species in our area. 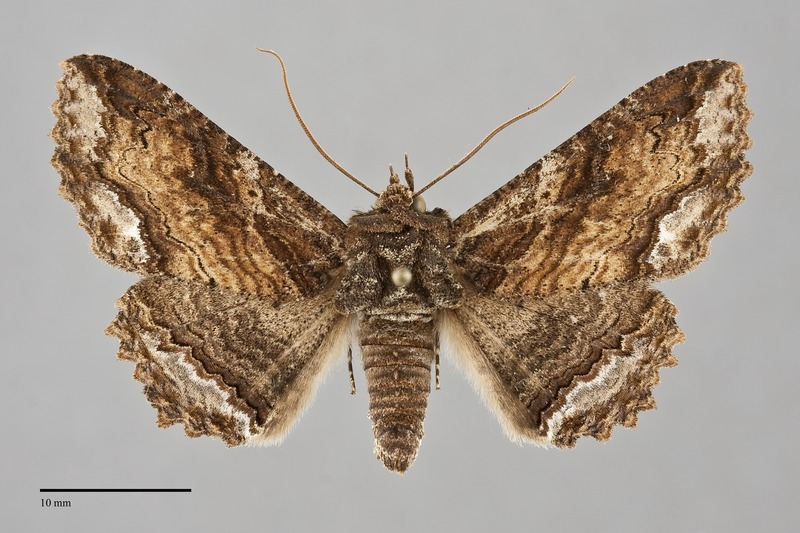 Zale lunata is most similar to Zale minerea, a slightly smaller and more vividly colored species. They can be reliably differentiated by the shape of the most lateral projection of the thin dark postmedial line at vein M3. This is bilobed in Z. lunata and bluntly convex in Z. minerea. 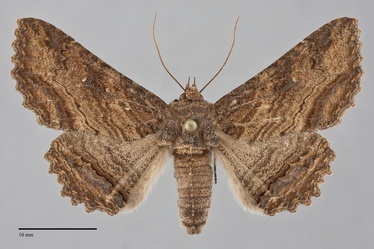 Zale lunata is larger and browner than Zale rubi, a gray-brown species found mostly in Oregon in our region. This species has a jagged subterminal line that is toothed toward the outer margin that is lacking in Z. lunata. Larva is smooth, mottled gray, brown, and tan with a swollen mid-dorsal tubercle near the tail. It is illustrated by Miller & Hammond (2003). This species is common and widely distributed across North America in moist forest and riparian habitats. In the Pacific Northwest, it is particularly common in mixed hardwood forests and in riparian zones along creeks at low elevations west of the Cascades, but it is also common in mixed hardwood-conifer forests at higher elevations in the mountains, extending to the riparian zones of canyons at lower elevations east of the Cascades. Zale lunata is found in forests throughout our region as far north as southern British Columbia. It is uncommon in steppe habitats but does occur along rivers and streams. This species is widespread in North America, occurring to the East Coast where it is widespread. This species is a generalist feeding on a wide variety of hardwood shrubs and trees including Betulaceae, Rosaceae, Aceraceae, and Salicaceae. It is sometimes particularly common on willows (Salix spp.). Adults have a long flight season and have been collected throughout most of the year. They are most common in spring, with a peak abundance from April to early June.